Whether you once had a piercing or a bad cut, a scar on your lips can be embarrassingly noticeable. 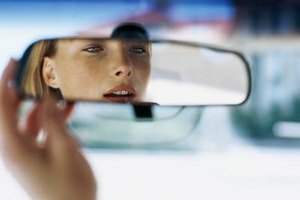 Since people tend to look at your mouth when you speak, having a scar can distract them from hearing what you are saying. While removing scars from your lips is not easy due to the delicate tissue, you do have several options. Depending on the severity and age of the scar, here are some suggestions on how to get rid of scars on the lips. Try Vitamin E oil. Known for its healing properties and ability to fade scars, this will work best on recent, light scarring while being gentle on your lips. You can easily find a bottle in a drugstore, or purchase some capsules (be sure to buy the natural and not the synthetic kind) and break them open. Fully drench the scar in the oil, and refrain from eating or drinking for at least half an hour to let the oil absorb. Consider Bio-Oil. Famous for reducing the appearance of stretch marks on women, it also works to fade scars and improve discolorations which often result as scars fade. It is especially good for the tissue of lips, which tend to dry out faster than other parts of the body. Turn to lasers for older, deeper scars that are raised or discolored. Ask a plastic surgeon about the pulsed dye laser (PDL), which has been successful in smoothing the skin and fading the scar with minimal side effects and discomfort. (Note that much thicker scars may also need a treatment of corticosteroid to better the results.) Find a surgeon who is experienced and can show you before and after photos. Although PDL is an outpatient procedure, you will most likely need to take extra precautions, since bruising and swelling from the laser procedure lasts from 7 to 14 days. Ask if dermabrasion could be done instead, if you are iffy on laser surgery. As lips are very delicate, this might not be an option, but depending on your age, skin type and other factors, some light dermabrasion might be done in place of surgery. Commonly used for fine wrinkles around the lips, dermabrasion is useful for scars that are primarily a discoloration of the skin, less than a year old and not raised. 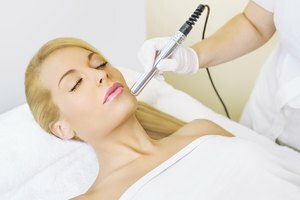 Using a rotating dermabrasion machine, which looks like a pencil with a tiny cone of metal sandpaper on the tip, your doctor will press it lightly against the scarred area. Side effects include irritated skin that will soon resemble a sunburn and fluid drainage. Plan for at least 4 days of down time, and make sure you wear sunscreen when you venture outdoors. It is best if you choose a dermatologist for dermabrasion. While it is performed by "specialists" at spas and salons, it's best done by the hands of a medical professional.